Social platform also posted its fourth consecutive profitable quarter. Twitter has delivered another quarter of strong ad revenue growth this year, despite a slowdown in user growth. The micromessaging platform posted a 29% year-on-year increase in advertising revenue for the third quarter of 2018 to $650m (£504m). Twitter's owned and operated ad revenue grew by 36% to $650m, but non-owned and operated ad revenue fell 31% to $33m. This was largely due to the write-off of TellApart, the retargeting ad business that Twitter shut down at the beginning of the year. TellApart, which Twitter bought for $479m in 2015, contributed $7m in the fourth quarter of 2017, its last quarter of reported revenue. Meanwhile, Twitter delivered its fourth profitable quarter in a row, having posted a GAAP net income of $789m. Daily active user growth, meanwhile, grew by 9% year on year for the three months ending 30 September – this is the first time Twitter has failed to hit double-digital daily active user growth in two years. Twitter does not disclose actual daily active user numbers. Monthly active users in the third quarter were 326 million, a fall of four million (1.2%) compared with the same period last year and down nine million (2.8%) quarter on quarter. Facebook said the monthly active user figure was affected by a number of factors, including GDPR, measures to improve brand safety by removing bots and fake accounts, and its decision to no longer renew paid SMS carrier relationships in some markets. 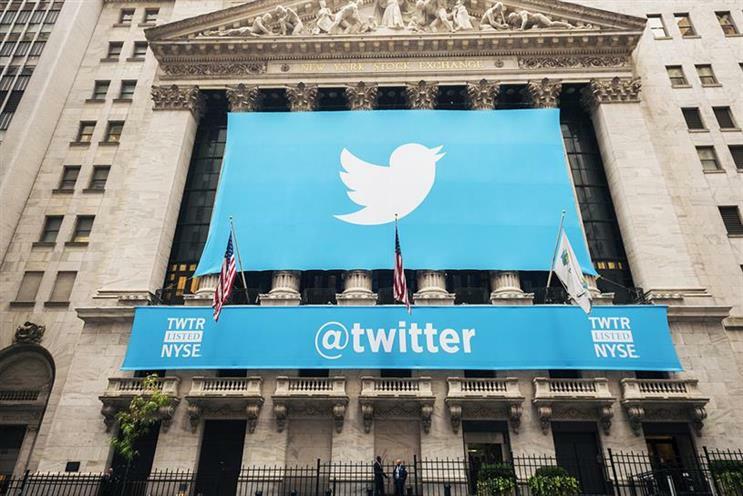 "MAU removed for health reasons are not typically valuable from an advertising perspective and people accessing Twitter only through SMS do not see ads," Twitter said. In its letter to shareholders today, the company added: "We made meaningful progress improving the health of the public conversation on Twitter. Our most significant progress in Q3 can be seen in sign-up detection and identifying and challenging potentially automated, spammy or malicious accounts. "We’ve seen a 20% quarter-over-quarter decrease in successful sign-ups since the introduction of these new techniques and believe the majority of this improvement can be attributed to our recent health efforts."